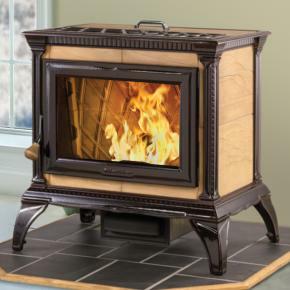 Pellet stoves are the perfect way to enjoy a nice, cozy fire while increasing heat efficiency. The Fireplace and Grill Shop at West Sport offers both Breckwell and Hearthstone Pellet stoves. These pellet stoves combine beauty with convenient, user-friendly operation, and powerful heating. Pellet Stoves are helping the energy conscious home owner reduce home heating bills and bring ambiance to their living space. These stoves are not only beautiful, but extremely clean and efficient as well. With the rise in heating oil costs, pellet stoves are in demand. Pellet stoves are extremely efficient, produce very little waste, and use inexpensive fuel. An affordable, eco-friendly option for heating your home, Breckwell has the largest line of pellet stoves on the market while Hearthstone’s pellet burning technology is certified well below the EPA standards. West Sport has your home heating solutions covered. Need an estimate? Have questions? Want to know more? © 2019 The Fireplace Shop & Grill Center at West Sport. All rights reserved. Created and Maintained by WSI Pro Marketing.